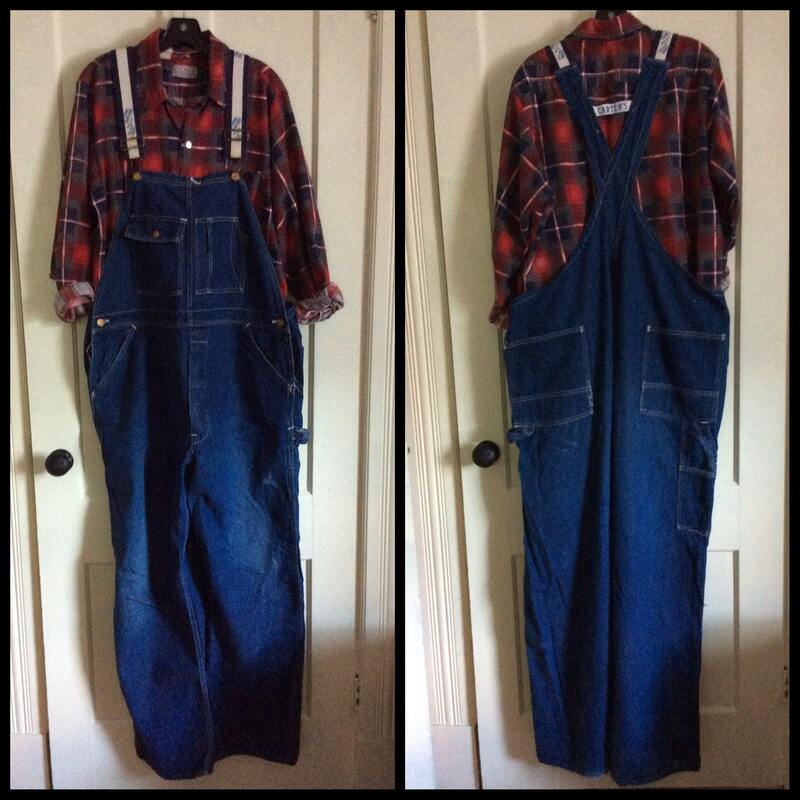 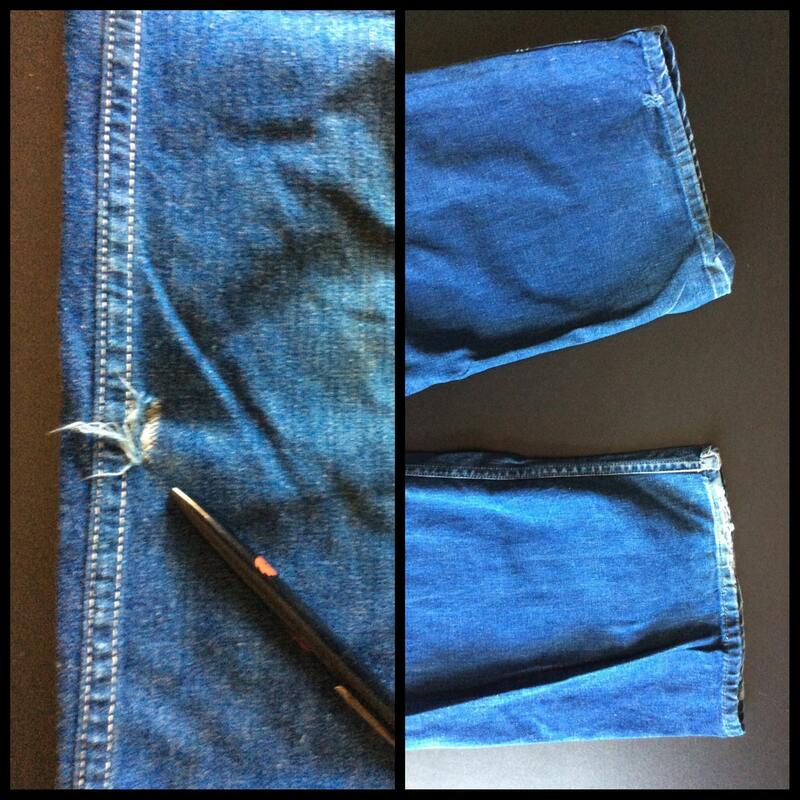 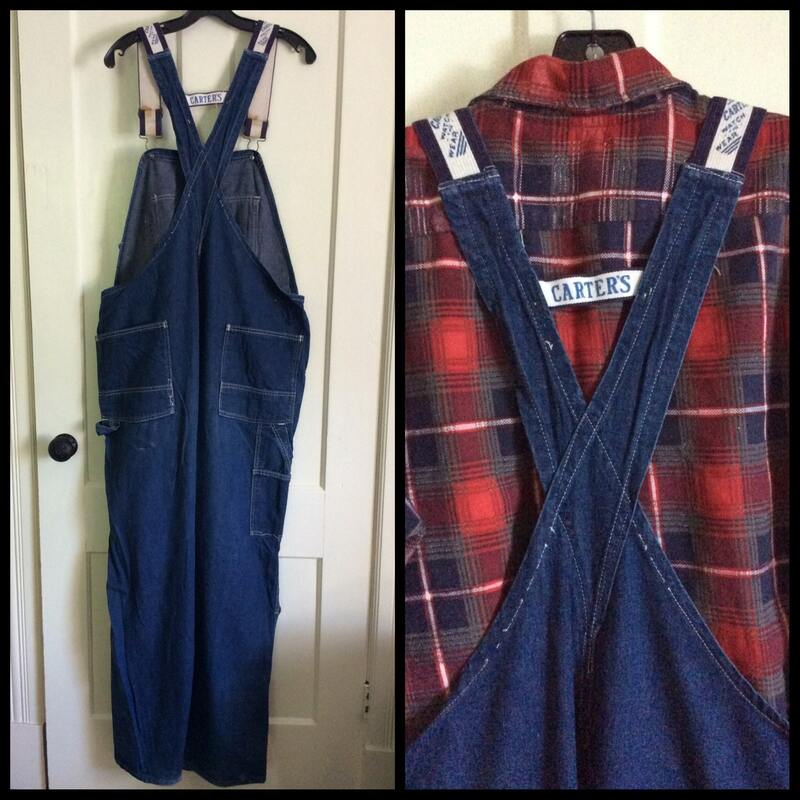 Here's a pair of Carter's denim overalls from the 1960's. 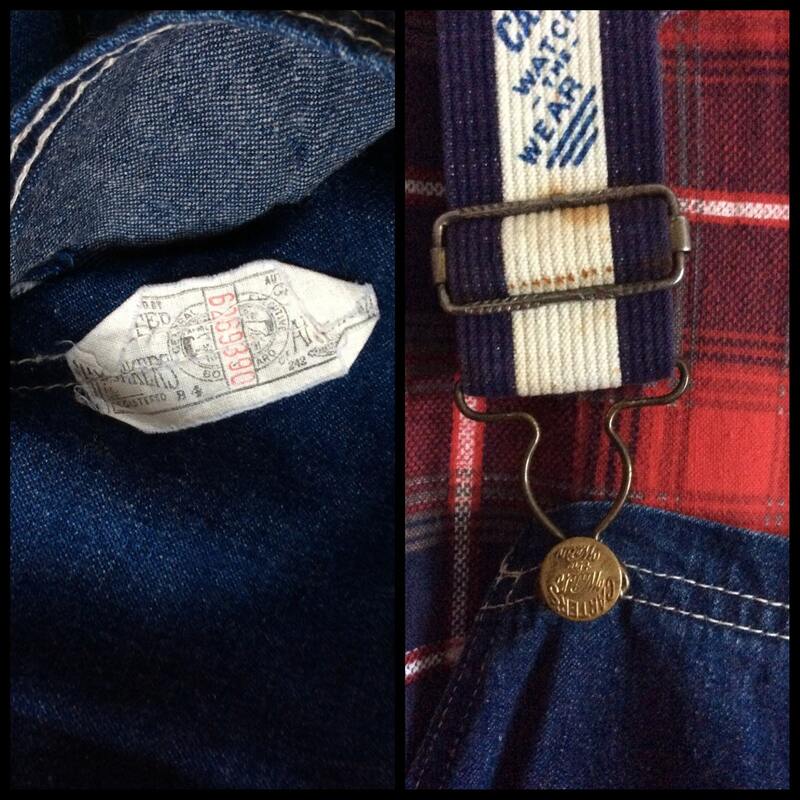 They're Union made in the USA. 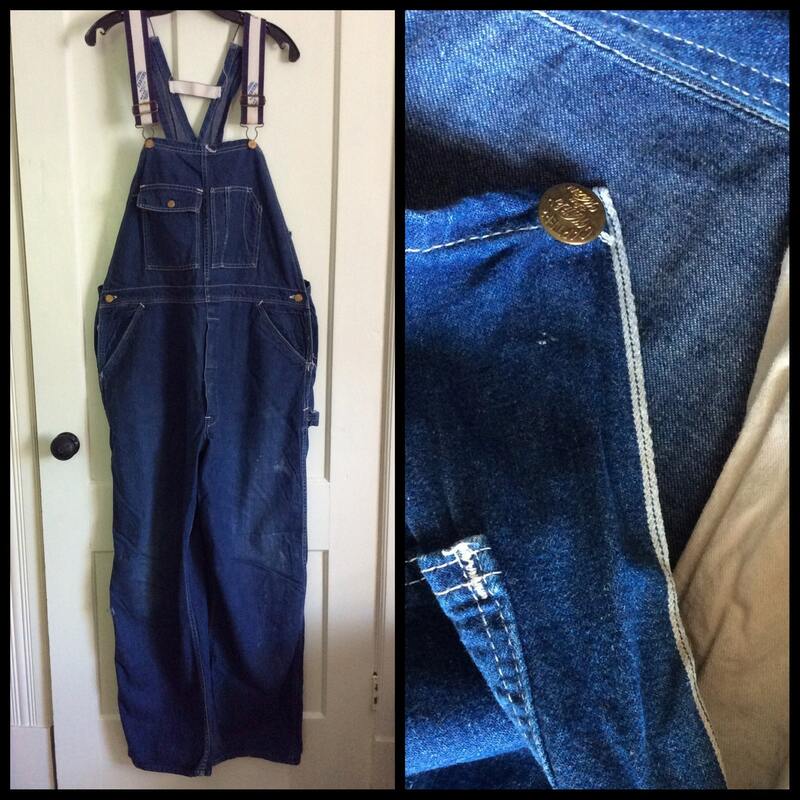 There's rust on the straps, wear on the back of the legs at the bottom, wear and light spots by the knees, small hole near the right knee, and small bit of fray on the left side of the bib, otherwise they're in excellent used condition.